Plant obtained by Grace Goode before 1974 as an offset from persons unknown. 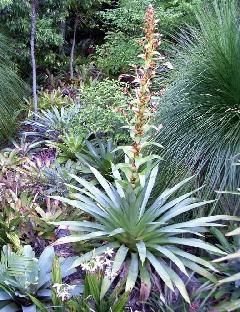 It was assumed to be Vriesea imperialis. 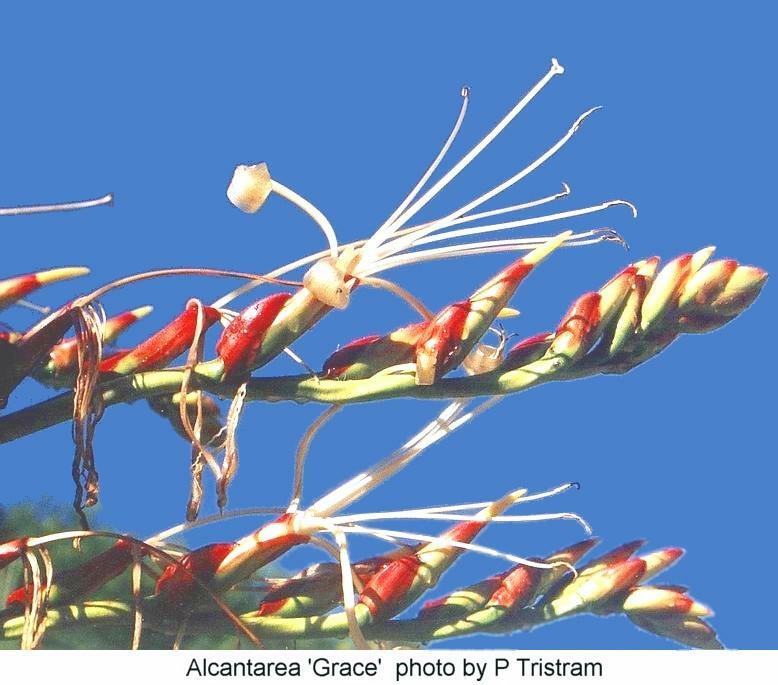 In the late 1990’s it was realised that this plant and its progeny did not link directly to the concept of the now Alcantarea imperialis. 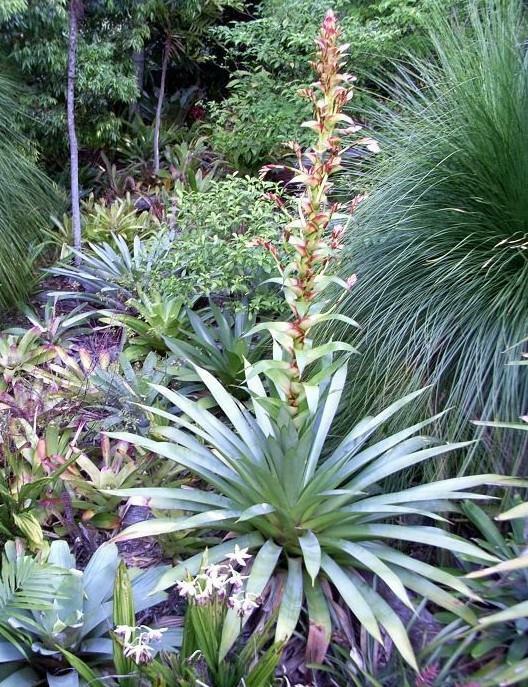 A closer look at a synonym that Lyman Smith had as Vriesea glaziouiana sensu Carriere 1881 which later Leme linked to Tillandsia blokii Hemsley, has revealed the reason for the differences. Grace’s plant has horticultural significance and needs a cultivar name. (peduncle 15cm long on lower branches) floral bracts 30mm long max., about half as long as the sepals. seed pods smaller, less than half the size of Al imperialis). * Bracketed details describe a plant called ‘Bill’ by Mark Paul because it has links with Bill Morris. Although within the parameters of Al. imperialis in the broad sense, it is worthy of a cultivar name. Seed came to Australia in the 1960’s from Brazil. We think this was part of the Bill Morris/Adda Abendroth connection but Bill Morris cannot confirm this. Since then, not only offsets but seedlings have been distributed to cloud the issue but all have sufficient similarities to be recognised as ‘Grace’. 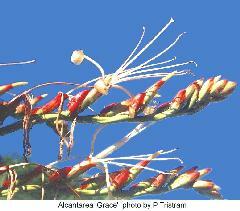 It seems smaller in height and width and height of inflorescence than the typical Al. imperialis. See also J. Brom. Soc.34(2)74-5. 1984.